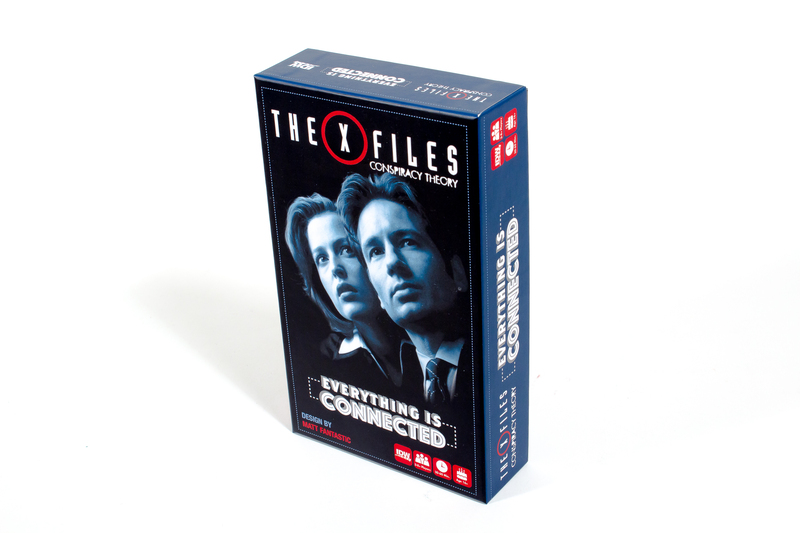 The X-Files: Conspiracy Theory – Everything Is Connected Is Available Now! 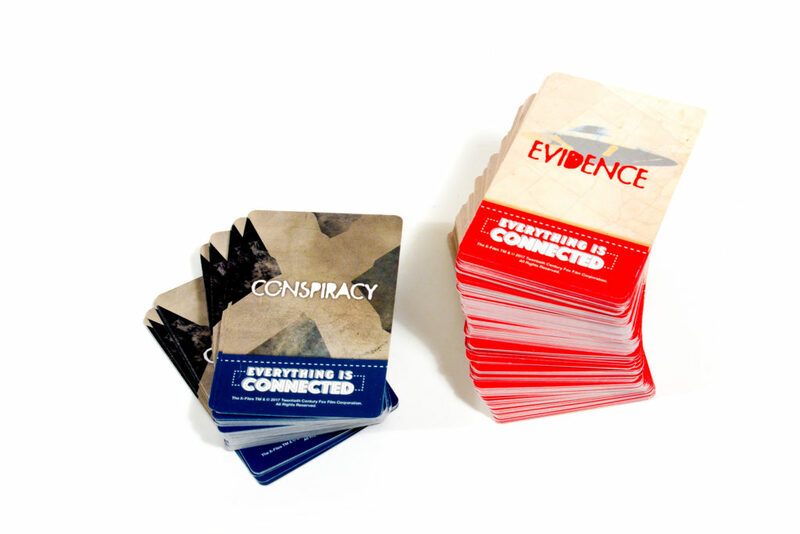 The X-Files: Conspiracy Theory – Everything Is Connected card game, designed by Matt Fantastic is available on shelves now! After another truly unbelievable case comes to an end, Agent Fox Mulder finds himself in a familiar seat — directly across from his superiors at the FBI. While Agent Scully urged him tell a story that the panel would accept, Mulder’s need to believe is just too great. In The X-Files: Conspiracy Theory – Everything is Connected, players take turns at Fox Mulder as he uses the provided clues to explain his conspiracy theory to his FBI superiors. But reputation is everything at the FBI, and Mulder’s superiors are more interested in voting with the room rather than their gut. Mulder weaves together the conspiracy, and the superiors must deduce the way the rest of the room will vote…because the only thing worse than being an outlier is being a nut-case like Fox Mulder. The game includes a second game mode, based on Jose Chung, from one of the most famous episodes of The X-Files: “From Outer Space”. Other players play as witnesses to a paranormal event and Jose Chung must look at all the evidence they provide and create a complete narrative that ties all their stories together. ← The Munchkin: Teenage Mutant Ninja Turtles BackerKit Is Live!